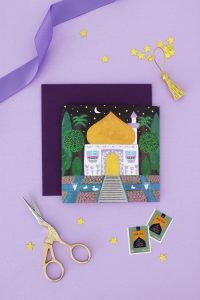 Ramadan Tea Bags Free Printable – Hello Holy Days! Have an iftar party to go to? Not sure what to take for your hostess? 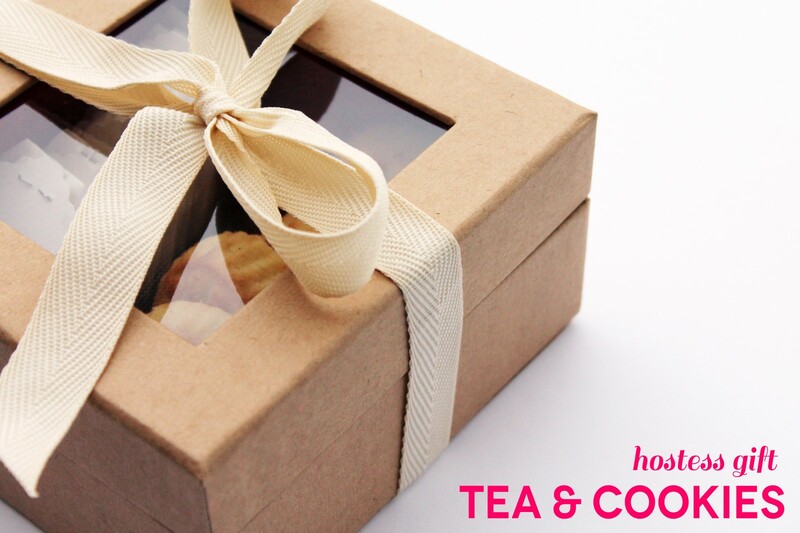 Make a little tea bags and cookies package. 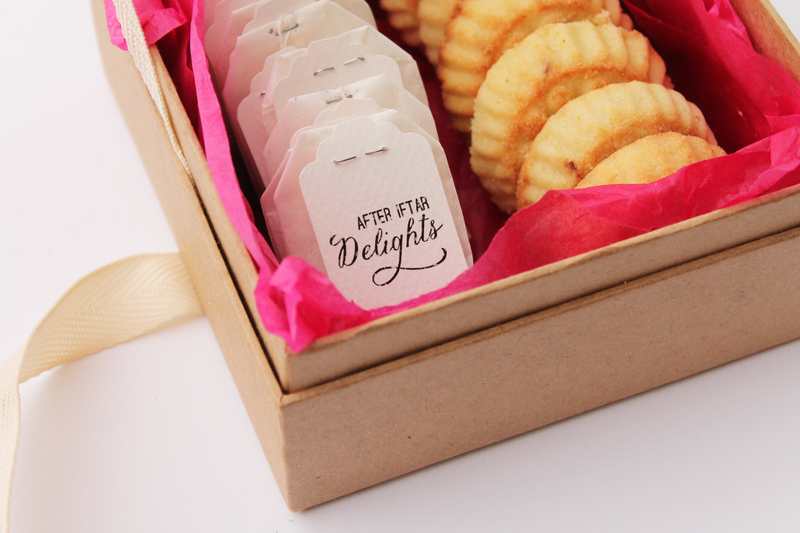 A box of goodies makes a nice hostess gift year round but since it’s Ramadan, you want to make it extra special. 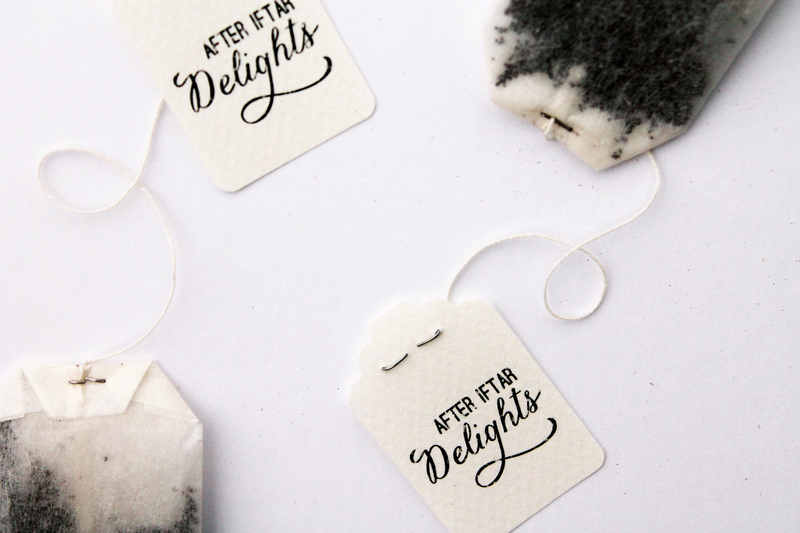 I think customizing tea bags is a really easy and inexpensive way to spread holiday cheer! After designing my labels, I printed them out on a single sheet of paper and used this punch from Deserres to create my tea bag tags. I ripped off the Lipton labels that already accompanied each one of my tea bags and stapled on my homemade ones instead. A simple pleasure for family and friends to delight in. 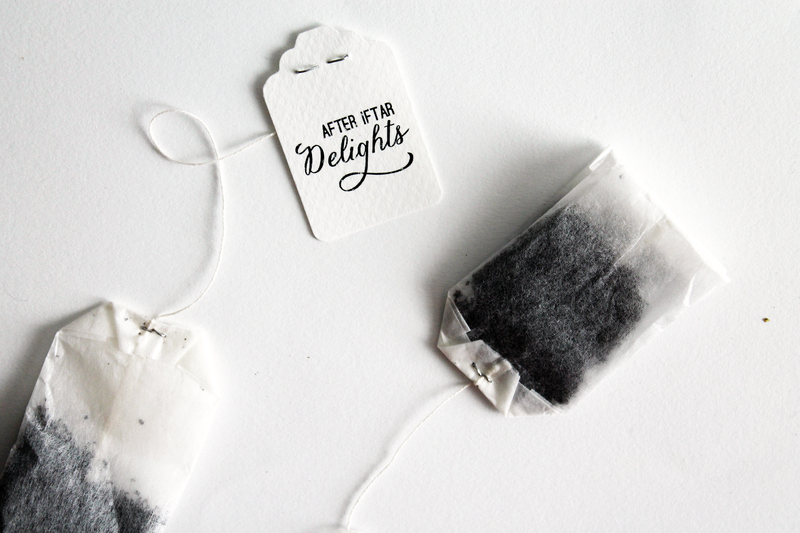 To download my tea bag label template, click here. You can cut these out into rectangular labels with scissors if you like, or do what I’ve done and use a specialty punch for a cleaner look. P.S I purchased my box (perfect for baked goods!) from the Creative Bag. CONDITIONS OF USE: All photos and artwork are © Manal Aman for “Hello Holy Days!” This free template is for personal use only. You may not use it for commercial purposes. Feel free to share on your own site, blog or social media outlets, but you must provide a link back to my site/this article. As a courtesy, please do not link to the downloadable file but rather to this article. You may not download the file and then upload onto your own site – you must provide a link to this page and your readers can then download the file from my site. Feel free to share any of my photos as well but you must give credit and link back to my site/this article.